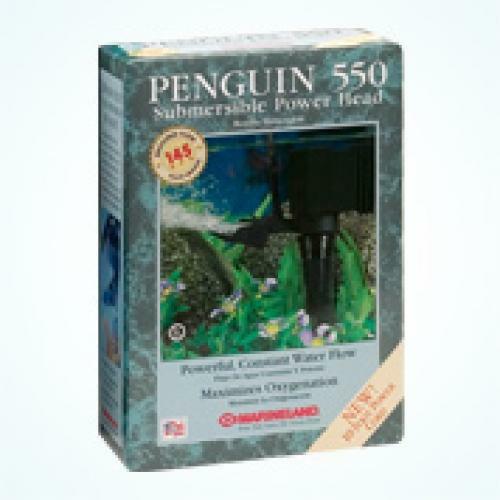 Penguin Power Heads deliver constant flow with fully adjustable aeration and increased surface agitation...and they remain silent at all times. The custom air valve regulates air flow, the air filter eliminates noise and dust, and the intake strainer keeps debris from fouling the impeller...that's efficiency. Model 550 shown.